I’m taking a break from writing a brief today to attempt to bring this blog up to date. Since the last post: I’ve changed jobs, Evie has finished Kindergarten, and we’ve settled into our new home. I’ve wanted to post, but can never decide how much or what to share . . .
As I mentioned, I’ve recently changed jobs. For the past two years I’ve had a crazy commute, totalling 3 hours a day driving time (I also put about 100,000 miles on my car). While this obviously posed many challenges, I was really happy at my job otherwise. Although I wasn’t actively searching, a former colleague offered me a job with her firm in early summer. It was hard to leave my job, but the time away from my family had been taking a toll. If anyone else had approached me my answer would have been different, but I have the utmost respect and esteem for the attorney I am now working for. She is an excellent practitioner and businesswoman and, most importantly, she cares deeply for the clients we represent. I am very excited that I will be able to continue making a positive difference in the lives of others! Another good thing about working closer to home is being able to attend more of Evie’s activities and events. Before, Nick was going to almost all of these alone (which I have to give him tons of credit for). Here is Evie on her last day of soccer lessons, last Thursday. She had so much fun, and met quite a few new friends! 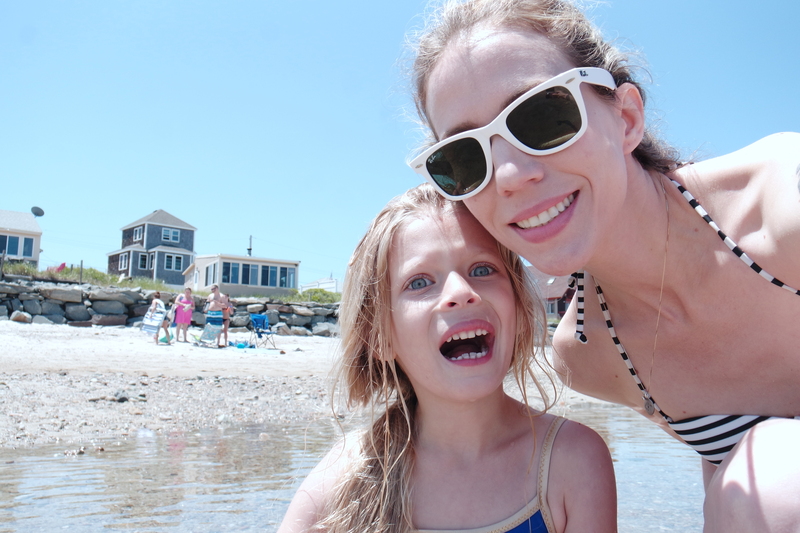 Evie’s summer has been filled with learning to swim, soccer lessons, and going to the beach. I can’t believe that she will soon be in 1st grade! I’ve also recently developed an affinity for paper planning. This was kind of unexpected, because I’ve always been big on the electronics. I don’t even use paper for taking notes most of the time anymore! Writing things out for my week has helped me put them in perspective and it’s certainly increased my organization and productivity. This is probably something I’ll post on in the future. I also have finally learnt the technique for a proper messy top knot (yes there is one, and it’s super easy)! I know this is pretty random, but it’s something I’ll be using a lot, when at home. I found the tutorial on Freckled Fox’s blog. She is, of course, much better at it than I, and her blog is definitely worth a read! Much more has obviously happened in the past year, but I think this post is long enough. I also need to finish up some work. I hope to post more in the upcoming months and be less of a stranger!